"Dad, did you get that?" 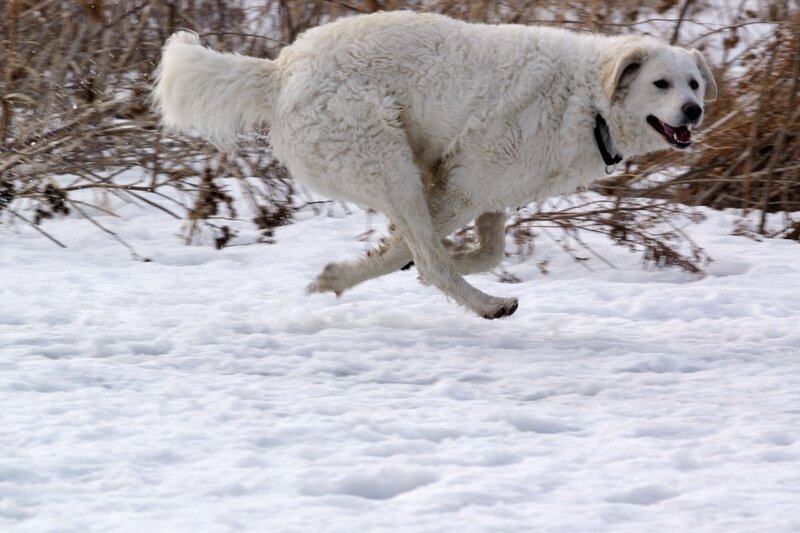 My brother and I were at Meadowvale Conservation Park and seeing that there was no park management personnel around, we let our Great White Kuvasz - full name Mount Godwin Austen K2, go leash free. This was in January 2015. The boy went crazy, playing in the snow, running on the ground and on the frozen Credit River. He had a blast! Here is one shot that I took when he zoomed fly pass me, seemingly asking me if I got the shot. 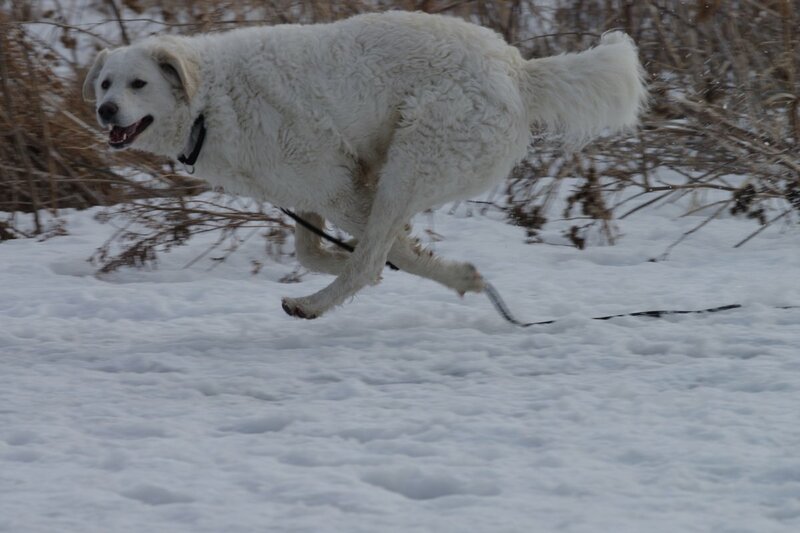 The second shot (without leash) is a tweaked version published in the 'Kuvasz Coffee Table Book'. The speed of my dog has pleasantly surprised many greyhound owners. Just to let all of you know, I take pictures on the go, i.e. with narrow window for planning a shot - hiking with K2, seeing, pointing and shooting. No post-shoot processing. K-5 II s with Pentax DA* 300 mm, Pentax K-S2 with D FA 100mm macro, and K-50/K-r with Pentax 18-135 mm wr. Thank you for nominating this picture, RogerW14.